STATEWIDE—From 10 p.m. to 6 a.m., starting the night of Sunday, July 8 and ending the morning of Thursday, July 12, travelers can expect lane closures in the Eisenhower-Johnson Memorial Tunnels on I-70 as crews test the fixed fire suppression systems (FFSS). Crews installed these systems in 2015 as a part of the $20 million FFSS project to improve safety at the tunnels. Once a year, 20 percent of the water valves will be opened to test the FFSS. Testing will continue in zones until all the valves have been tested for approval, according to the five-year maintenance requirements and warranty of the contractor. After five years, all the valves will be "exercised" and the testing can restart. Testing must be done to make sure a valve has not corroded and will be effective in case of an emergency. Testing requirements will be ongoing throughout the 30-year expected life of the system. 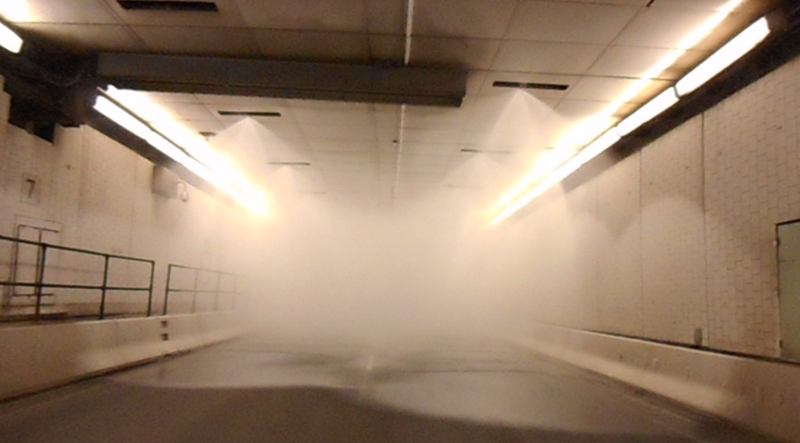 In accordance with the Federal Highway Administration (FHWA), FFSS testing must also adhere to the Tunnel Operations Maintenance Inspection and Evaluation Manual. Aside from the sprinkler testing, tunnel staff will also take advantage of the full night closures to perform maintenance and inspection work on lighting, water, roadway and structural elements of the tunnels. Because 20 percent of the sprinkler zones will be turned on, spraying water over both lanes while technicians are conducting tests, each tunnel needs to be completely closed. The fire suppression system allows the remote release of water in case of a large fire without needing to immediately enter the tunnels. The system better protects one of the state's most valuable highway assets that connects the Front Range with the Western Slope, and facilitates interstate commerce and also increases the safety of the traveling public.